The IDEAL learning community is a joyful and supportive one in which students have voice, know themselves as learners, and not only seek excellence for themselves but also nurture the achievement and talents of their peers. A commitment to differentiation, co-teaching and team teaching, project-based learning, academic support, and enrichment ensures success for every IDEAL student. Coupled with a dynamic core curriculum, the school upholds its mission to inspire academic excellence in all learners. IDEAL’s curriculum cultivates confidence, curiosity, and voice. In our core academic classes, skilled teaching teams equip all students with the foundational reading, writing, problem-solving, and critical thinking skills they need for success after high school. Project-based learning and interdisciplinary experiences deepen students’ knowledge, strengthen foundational skills, and foster a spirit of collaboration. Signature programs and events such as the Civil Rights Museum, ArtBeat, IDEALTalks, and Project RISE provide students with opportunities to practice and polish their presentation and communication skills. Supportive relationships between teachers and students and a low student-teacher ratio ensure that IDEAL faculty know their students in and out of the classroom. IDEAL’s talented teachers celebrate our students' differences and recognize that each child brings a range of strengths, challenges, and interests to the classroom. They engage students by building upon these unique characteristics, providing choice, and by organizing learning activities and small group instruction geared toward a range of interests and readiness levels, while maintaining shared goals and supporting the achievement of all students. 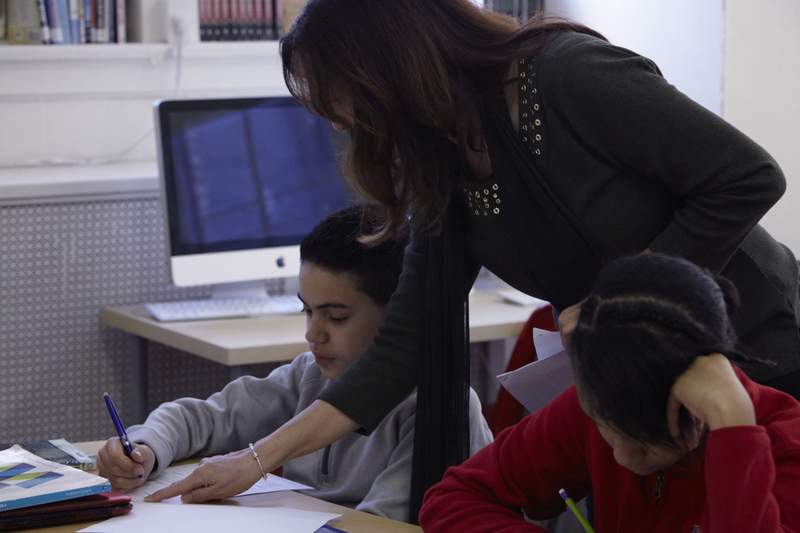 The co-teaching model in the Lower School and team teaching approach and seminar-style classes in the Middle and High Schools enable our teachers to individualize instruction and to differentiate curriculum such that each student is challenged and inspired. Within this pedagogical framework, IDEAL students develop a growth mindset, focus on process as well as product, and grow in the understanding of themselves and their peers as learners and leaders within the community.